SafeWay Driving Katy is an online driving school with a local drive site owned and operated by Houston native Rick Nussle. 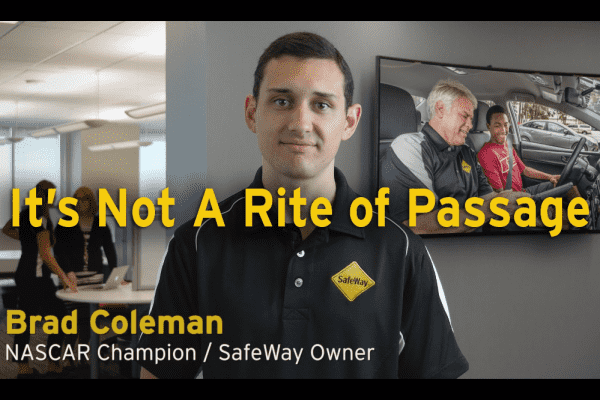 Located across the street from Katy High School in the Tiger Square Shopping Center, Rick and his team work hard to educate local drivers about the importance of driver safety, regardless of age. Our state certified driving school delivers Texas Driver Education services to Katy High School / Morton Ranch High School / Mayde Creek High School / British International School of Houston / St. John XXIII College Preparatory / Faith West Academy / Katy Christian Academy / Faith West Academy / Aristoi Classical Academy / Mirus Academy / Royal High School and all the surrounding communities. Services include Teen Drivers Ed, Adult Drivers Ed, Private Training, and the DPS Road Test. We offer both online and behind the wheel driving instruction with online scheduling and reporting. Driving lessons take place 7 days a week by appointment only and are delivered in a SafeWay Driving vehicle by a certified Driving Education Instructor. 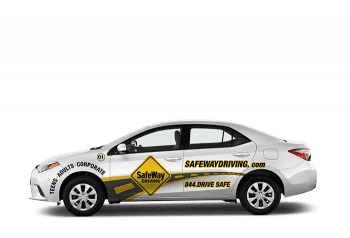 Help us make Texas Roadways safer, by driving with SafeWay Driving today! SafeWay Katy is owned and operated by Rick Nussle, a long-time resident of the Katy community. Rick and his team are committed to preventing “The Phone Call” that nobody wants to receive by providing the best driver training in the Katy area. Take your driver training seriously, and take it at SafeWay. My daughter just finished her Safeway driving training all the way through to getting her license. I couldn't be more pleased. We had heard through a friend that the driving instructors were friendly and calm, but also highly rated. After researching different schools, we were attracted to how long a student got to complete the training; 90 days, and how flexible the times were. She could do her lessons anytime day or night; when she had time. She is a junior in HS and her free time is limited and all over the place. Lastly, she loved her trainers! We also opted to have Safeway's trainers administer her actual road test. That was awesome! She was able to take her DPS road test in a relaxed environment, with a Safeway instructor, in the same car she trained in! She was so happy, and I was happy when we got to skip the line at the DPS to get her license. We are as confident as parents can be when she leaves to drive by herself. Safeway-Katy gets a 6 STAR RATING! !